During the weekends in the summer New York feels like a ghost town. While in LA, beach season seems to last all year long, New Yorkers treasure the much anticipated summer season and flock out East. 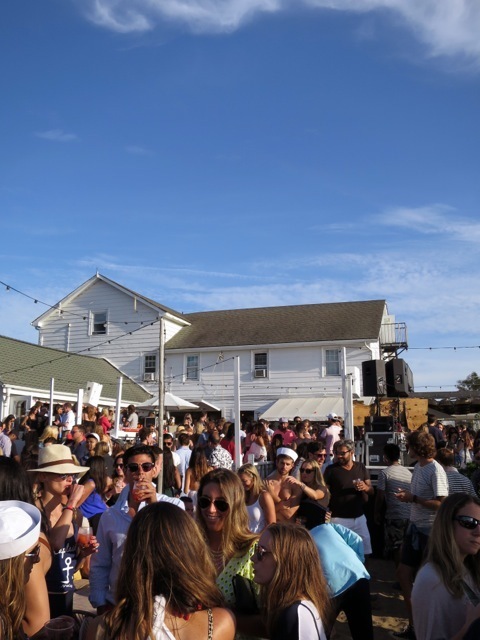 Montauk is full of beachy bars, but this season the Surf Lodge is the place to be. With a line up of musical performances and a gorgeous setting right on the water, this Montauk staple is still on top and rightfully so. Last weekend they collaborated with Nicky Zimmermann to throw an epic party. 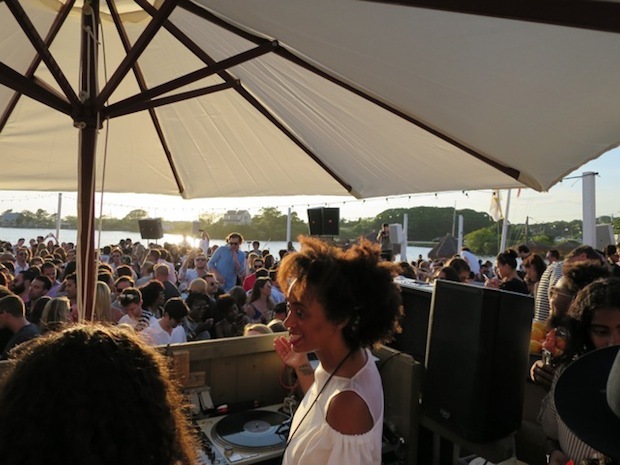 The rosé was flowing as guests enjoyed a DJ set by Solange and a musical performance by Trombone Shorty, while watching the sky light up as the sun set over the water. Notable attendees such as Bambi Northwood-Blyth, Ben Watts, Langley Fox Hemingway, and Montana Cox mingled amongst fashionable guests. The Surf Lodge staff were pouring drinks and serving lobster rolls, dressed to the nines in Zimmermann’s bold tropical print shorts, rompers and mini dresses. Zimmermann, who recently opened a store in East Hampton, was thrilled to have another reason to head out East. The trendy uniforms also mark another first for the designer, it was her first foray into menswear. Come any day this summer to enjoy specialty cocktails such as “Endless Summer” a lemony white wine and grape cocktail and “Paraiso” a tasty tequila and cucumber concoction. Surf Lodge also has a full menu and is a great brunch spot. After you finish munching on a big breakie (2 poached eggs on toast with roasted tomatoes, spinach and mushrooms), or an avocado toast, spend the day lounging on the day beds and enjoying a cocktail or two. With fresh seafood at a reasonable price and a gorgeous view of the sunset, Navy Beach is the perfect date spot. Try the muscles in a lobster bisque broth or the fresh oysters. This spot fills up quickly, so plan ahead and make a reservation. Arrive early to secure a view of the sun setting over the water while enjoying a delicious meal. 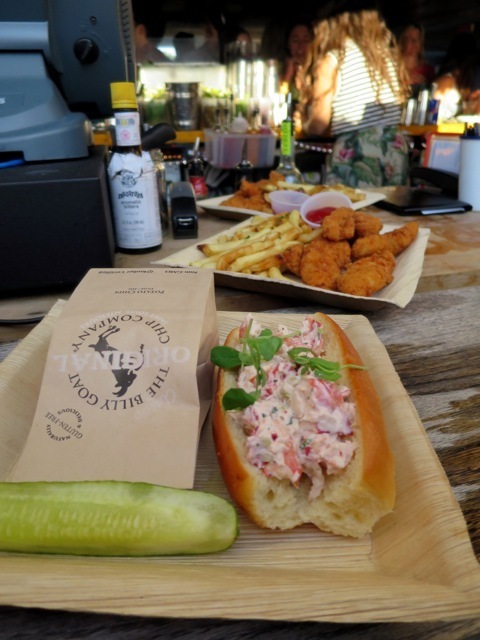 There may be a wait, but it’s worth standing outside for a flavorful, fresh lobster roll. Their outdoor patio is perfect for a leisurely lunch of fresh lobster meat on a buttery, melt-in-your mouth bun. Of course there are other options for the non-lobster lovers, but with rolls this good you may find yourself converted! Looking for a hot party AND a place for a refreshing dip? Weekends at the Beach House have just the thing. With two pools, plenty of lounge chairs, weekly guest DJ’s and musical performances, it’s a great place to tan, splash around, and dance in the water. Jacques Dumas, Dirty Vegas, and Holy Ghost will be among the talent rocking the House this summer. Check out their schedule to see the full line-up, which includes artists’ collaborations, fashion and fitness events, in addition to musical guests.